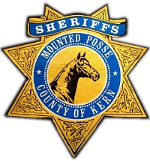 The Kern County Sheriff’s Mounted Posse is a 501 (c) (3) Non-Profit Organization. Can’t find it? Look here!